The Mir cocktail is basically a Jack and Coke spiked with vodka, so the flavor is mainly cola with hints of oak and distant notes of fruit from the Jack Daniels. This drink is good for when you want the flavor of a Jack and Coke, but with a little more kick. It’s stronger than it tastes, but overall not really a very strong drink. Fill a highball glass with ice. 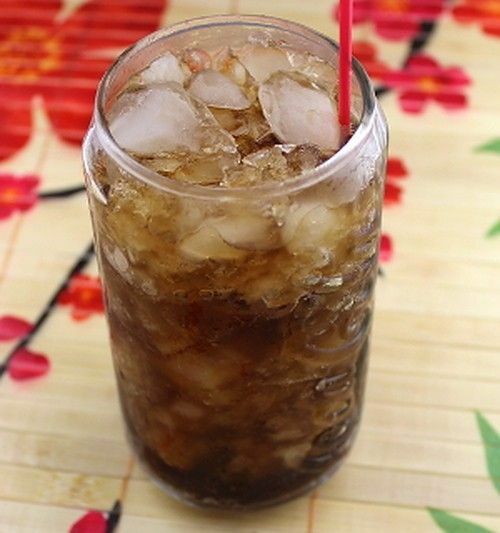 Pour in the vodka and Jack Daniels, and then fill the rest of the way with cola.